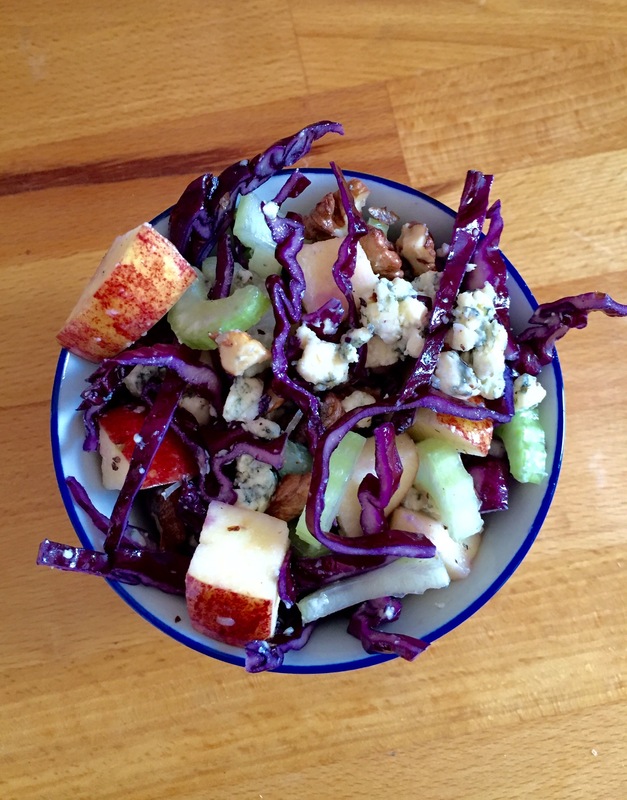 This gorgeous salad is one of my long time favourites, really should have shared the recipe long ago! I can safely call it a full meal as it’s so fulfilling and flavoursome. Full of vitamins, protein and makes a perfect midweek meal. 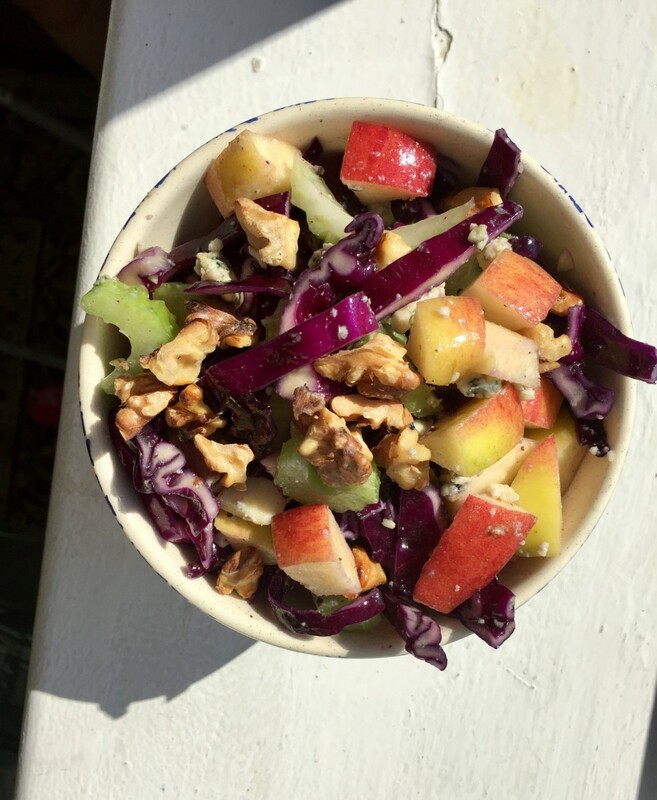 We have this almost every week not only because I love it, but also because hey… it’s a salad, so takes no time to prepare it. It still surprises me how everyone loves it whenever I serve it to guests, as for me it’s such a regular dish. It works very well in wintertime too when you just need something more hearty than a few green leaves tossed on your plate. The recipe caters 4 adults. Remove the outer layer of the cabbage before cutting and shredding it. Slice everything and add them to a bowl. Chop the apples the last, so they don’t go brown. (Once they are covered in olive oil they won’t.) I never add salt to this salad as the cheese gives a salty taste. Serve it with some wholemeal toast and butter. see it looks really good but I just cant do fruit with savoury!! Thanks for linking to #foodiefriday don’t forget us next week! 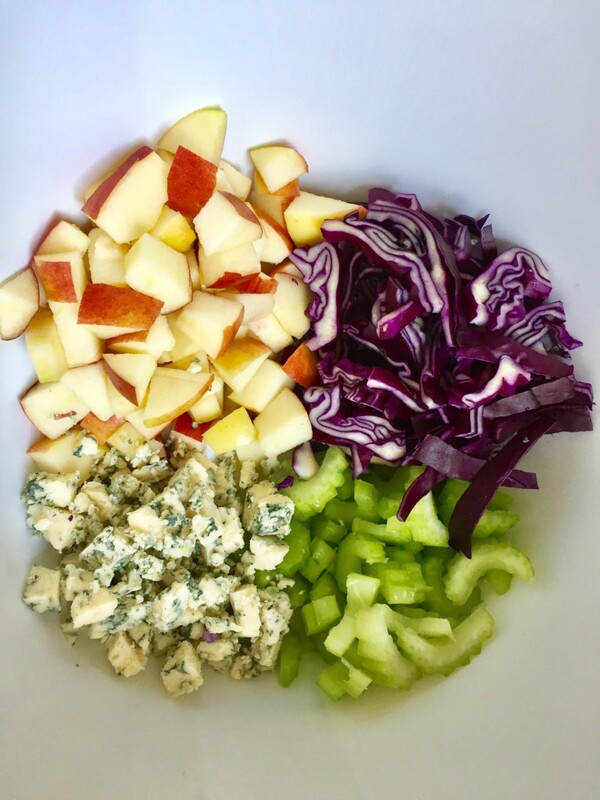 Love Stilton and apple together but have never put them in a salad, i will definitely be giving this a try.